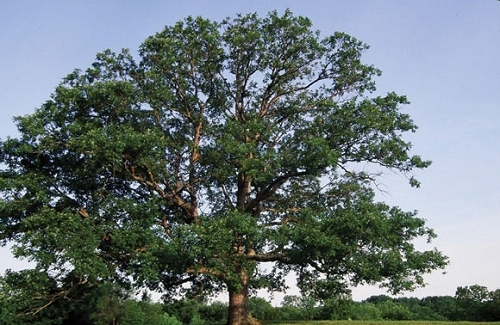 A large shade tree with many stout limbs and a broad crown. White oak is a great tree for fall color of purplish red. Once established, you can expect it to grow 2 to 3 feet per year in well-drained soil. Good wildlife species. Q: What is the best way to keep the rabbits and/or deer from eating the white oak saplings? Q: Is this tree still available to be shipped only during winter (dormancy)? A: We are out of stock. Hopefully we'll have some in 2019. The size of the plants will dictate if we can ship them or not. It is unlikely we'll ship any trees that are much over 2 feet tall. We can bring them to offsite events in Spring and Fall. We usually list those events in February and August.